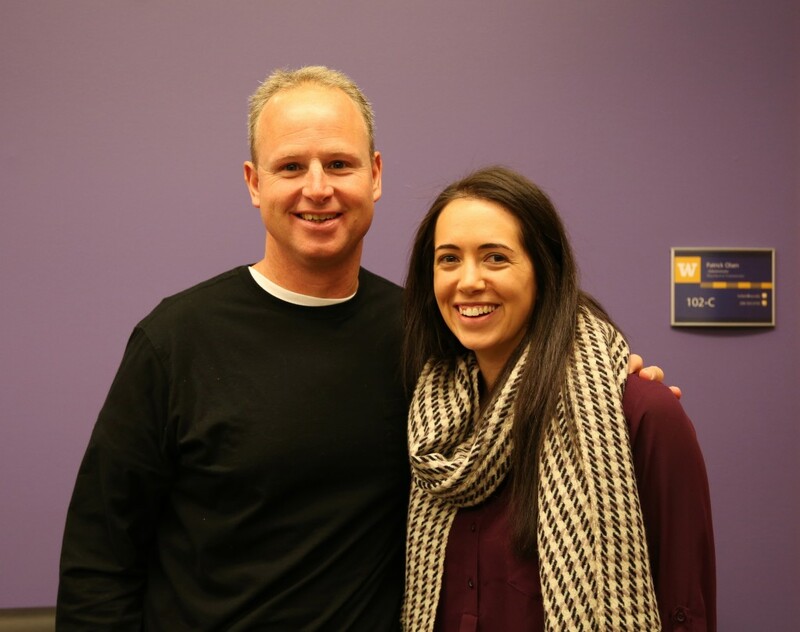 Teresa graduated from the UW Department of Communication in 2006 and returned last week to give advice to 25 current students interested in project management and digital communication in the realm of sports media. In addition to her experience at ESPN, Teresa has worked at leading digital agency POP, software company IdentityMine, Microsoft, the Art Institute of Seattle, and has coached volleyball for many years. However, she credits her special events internship with the Department during her undergraduate years for instilling confidence in her. “I met so many people and it went so well that it felt like the five of us could go out in the world and do something outside of the Department,” she said. Teresa also specifically remembers Professor Phil Howard’s class that taught her about SEO and digital behavior in a very changing and innovative time. She said that class relates to one of the biggest challenges in her job now, which is keeping up with the digital space while overhauling ESPN’s website and focusing on a mobile first approach. As students asked questions about how in the world you make your way to working at such a huge sports company as ESPN, Teresa stressed the importance of networking and reminded them to show employers what they are passionate about. While she admits that much of her day is taken up with reading emails and partaking in status meetings with the advertising team or the web designers, Teresa said she never stops learning.